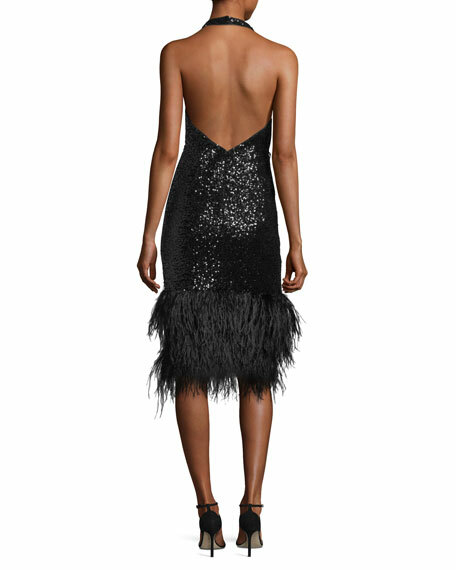 Milly "Amelia" sequined cocktail dress features an ostrich feather hem. Halter straps hook behind neck. For in-store inquiries, use sku #2361696.